The Volo father of two young girls missing since the weekend alleges his estranged wife ran off the kids in another attempt to keep them from him and to avoid a hearing which was to set a visitation schedule. In court documents filed Thursday and obtained by NBC Chicago, Dan Marsek said Aneta Marsek has disappeared three other times this year; in January, in March and in May. 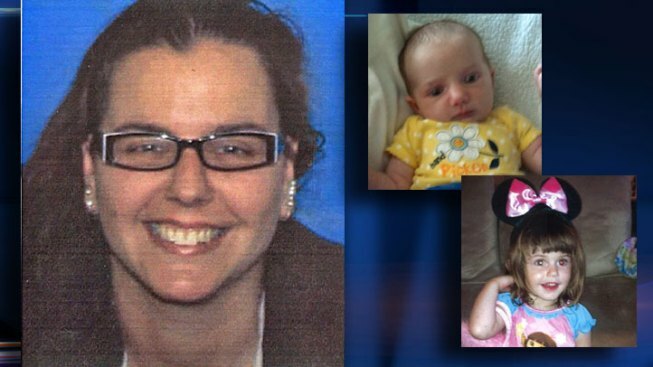 Aneta Marsek, 33, and her two daughters, 2-year-old Chevelle and 4-month-old Macenzie, have not been seen since about 7 p.m. Saturday, Oct. 6, when they left her parents’ home in Wauconda. "I believe she has ran off with another person," Dan Marsek wrote in an incident description report filed with an emergency order of protection. When she filed for divorce June 15, Aneta Marsek accused her husband of adultery and mental cruelty, records show. She even sought an order of protection on June 29. But in his own filing, Dan Marsek told the court his wife's attempts to keep the girls from him were nothing new. "She has kept the children from me for two months," he wrote. Earlier Friday, the search for the trio took a frightening turn when divers searched two retention ponds near the woman's Volo home. It would appear those searches were strictly precautionary and they turned up nothing. A source close to the investigation said a check of Aneta Marsek's phone records shows no activity on her cell phone since Sunday, the morning after she and her children were last seen. Aneta Marsek's parents say many people may only know her by her madien name: Czaja. Note: This post was originally published Oct. 12, 2012.